« Alex Katz at age 87: Maturity and Its Muse Continues our Series Featuring the 21st Century’s Artist Muses. Good Day: Reading this obituary of Mr. Kerman, I am struck by how very well the term “Renaissance Man” describes him! 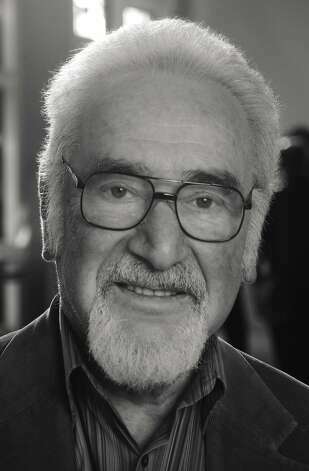 Joseph Kerman, a music ologist and critic whose learned, far-ranging and sometimes acerbic writings helped overturn accepted ideas about music both within the academy and in the wider cultural world, died Monday at his Berkeley home after a long illness. He was 89. Mr. Kerman, who taught at UC Berkeley for more than 40 years, was a man of many parts: a scholar whose work on such topics as Beethoven and the Renaissance madrigal reflected deep research and study; a disciplinary gadfly who almost single-handedly changed the direction of academic musicology; a powerful and influential teacher; and a prolific public intellectual whose writing in the New York Review of Books and elsewhere brought his ideas to a lay audience. Most music lovers are apt to know Mr. Kerman’s work primarily from his incendiary first book, “Opera as Drama,” published in 1956. Drawing on essays he had written in the late 1940s for the Hudson Review, the book proposed a simple yet radical view of opera: that it is the composer whose vision above all shapes the dramatic essence of a work. Mr. Kerman elaborated this theory in a series of cogent and often brilliant analyses of individual operas, which prefigured some of the repertoire – especially the operas of Verdi – on which he would later turn a scholarly eye. But the controversies surrounding “Opera as Drama,” which was released in a revised second edition in 1988, owed less to its philosophical underpinnings than to the ferocity of Mr. Kerman’s judgments about the operatic repertoire. In his view, the truly successful works in the canon were limited to the masterpieces of Mozart and Verdi, as well as a few works by Monteverdi, Debussy, Berg and Stravinsky. Yet for all of its questionable elements, “Opera as Drama” remains an intellectual touchstone. Mr. Kerman’s literate and penetrating treatments of Mozart’s “Don Giovanni,” Debussy’s “Pelleas and Melisande” and Berg’s “Wozzeck” retain their power to illuminate, as does his close reading of Verdi’s “Otello,” written at a time when not even the composer’s mature work was treated with complete respect. Yet perhaps Mr. Kerman’s most transformative work was “Contemplating Music” (1985), which marked the pinnacle of a 20-year crusade to broaden the world of academic musicology beyond its traditional roots in manuscript studies, historical research and technical analysis. He was critical of the failure of musical scholarship to embrace such interdisciplinary areas as hermeneutics, structuralism, feminism and gender studies – which were already standard in comparative literature and art history – in its attempt to understand the works of the Western musical canon. In “Contemplating Music” and the series of essays leading up to it, Mr. Kerman charted an innovative direction for the study of music, which was quickly dubbed the “new musicology.” Though not without its critics, this pluralistic approach to musical studies has recast the scholarly landscape. Mr. Kerman was born April 3, 1924, in London, the son of an American journalist. He studied at New York University and Princeton, where he earned a doctorate with a dissertation on the Elizabethan madrigal (he later wrote an influential study of the Elizabethan composer William Byrd). He joined the UC faculty in 1951, retiring in 1994. Together with his wife, Vivian, who died in 2007, Mr. Kerman was the author of “Listen,” an introductory music textbook that has gone through seven editions. He is survived by his son Peter, of Albany; his daughter, Lucy, of Bala Cynwyd, Pa.; his brother, the bassoonistGeorge Zukerman, of Vancouver; and five grandchildren. His son Jonathan died in 1993. Plans for a memorial service are pending. Joshua Kosman is The San Francisco Chronicle‘s music critic.